A big congrats goes out to our Alabama Post Card Sharing Sweepstakes Winner... Rachel Harrison-Smith! 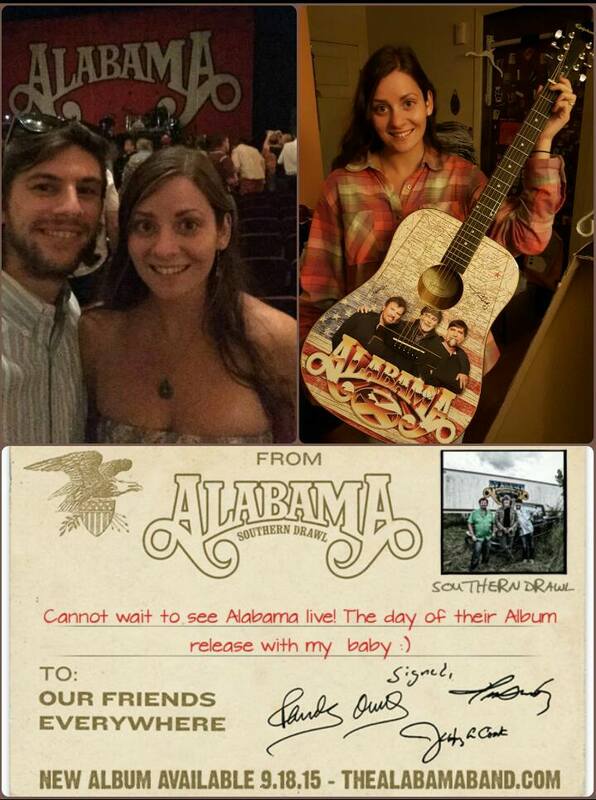 Here she is with the autographed Alabama guitar and the winning post card entry! Thanks to everyone who participated in the sweepstakes and Southern Drawl!